It is a memorable experience to tromp through the snow in the forest and hunt for that special tree to fill your home with the fresh scent of pine. It is even more magical to transform that tree into a brilliantly decorated centerpiece for the holidays. Some families have carried this tradition on for generations; some may just be getting started. Permits for holiday tree cutting are available at most U.S. Forest Service offices and fees vary per location. Contact the Forest Service office in your area to inquire about permit availability and tree-cutting locations. Prepare for weather and road conditions that might make travel difficult. Also, be aware of the areas that are approved for tree-cutting, which are designated by the local office and part of the information provided when you purchase a permit. Cut trees that are six inches (15.2 cm) in diameter or smaller located in designated cutting areas. You are helping to keep your forests healthy when you cut a tree. The permit system by the U.S. Forest Service helps to thin densely populated stands of small-diameter trees. The U.S. Forest Service offers things to know before you go as you prepare for your Christmas tree outing. The 2015 Capitol Christmas Tree starts its journey across the United States in early November and is a gift from the Chugach National Forest in Alaska. You can track the tree as it moves across the country to reach its final destination, Washington, D.C.
Veterans Day is a time when Americans honor and thank U.S. military veterans for their service to their country, and there is no better time to enjoy America’s great outdoors and historic places. Not only are entrance fees waived at many locations, but these places often represent everything veterans serve to protect. Read our list for ideas—then find a way to remember and honor our veterans as you enjoy some of the best our country has to offer! Visit America’s Federal Lands—Fee Free on Veterans Day! In honor of America’s veterans, entry is FREE at National Park Service units, Bureau of Land Management places, Fish and Wildlife Service refuges, U.S. Forest Service,Bureau of Reclamation sites and U.S. Army Corps of Engineers locations. If you are in the Washington, D.C. area, make a reservation for the National Archives Museum to view the original Declaration of Independence, U.S. Constitution and the Bill of Rights that so many veterans fought to protect. Then explore the Records of Rights Exhibit. You will not want to miss special presentations that honor veterans (check the National Archives’ Calendar of Eventsfor details). Visit locations that honor those who served during World War II. Read our article about the places and the people who participated in the legendary, D-Day Invasion on June 6, 1944; learn about (or visit) the Pearl Harbor Historic Sites in Hawaii; the World War II Memorial in Washington, D.C.; or the West Coast World War II Memorial at thePresidio of San Francisco, California. Pause and reflect at the new American Veterans Disabled for Life Memorial adjacent to the U.S. Capitol in Washington, D.C. It is the first national memorial dedicated solely to disabled veterans, paying tribute to the hidden and visible disabilities from all conflicts and all branches of service. Each year Coralville Lake honors local veterans at a ceremony on the lake's Veterans Trail. All are welcome to visit the accessible trail that features a bird observation area, rest areas and a picturesque, 80-foot (24.3 m) bridge. General George S. Patton's chose the training site for its similarity to the North African Desert. It would become the largest military training area in the world. Patton's troops would eventually defeat the German Afrika Korps beginning at Casablanca, Morocco. The memorial marks the site of General George S. Patton's desert headquarters near Interstate 10 on Bureau of Land Management (BLM) lands west of Desert Center. The General Patton Memorial Museum in Chiriaco Summit is a BLM partner. Learn how the BLM serves veterans on public lands. The U.S. Army Corps of Engineers supports various Wounded Warrior hunting and fishing events across their lakes. Watch one of these videos to find out more. World War II in the San Francisco Bay Area provides a video, list of sites, maps, essays and more to commemorate this West Coast city’s role in the war. Let this be your guide to discover which places you can visit in the Bay area. 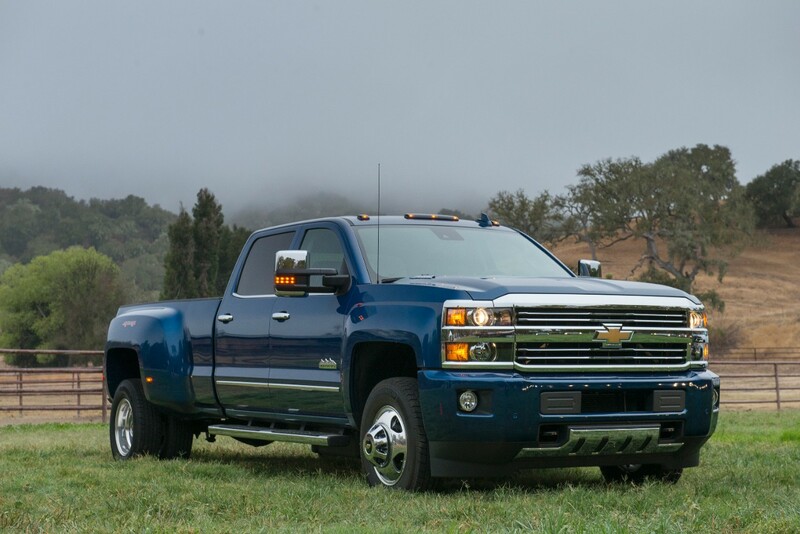 DETROIT – Chevrolet Silverado HD trucks are engineered to make the toughest jobs easier, and new technologies for 2016 complement features such as integrated cruise control, powertrain grade braking and diesel exhaust braking to enhance control. There’s also a new Gooseneck/5th Wheel Trailering Prep Package, with a spray-in bedliner, that makes Silverado HD models ready to tow larger trailers right from the factory. It will be available in the first quarter of 2016 for gas and diesel models, and features a frame-mounted hitch platform and tray that accommodates a gooseneck ball hitch or fifth wheel hitch mounting brackets, as well as a cargo bed-mounted trailer harness. A new Gooseneck Completion Kit will also be available from Chevrolet dealers, featuring a 2-5/16-inch ball hitch and two chain tie-downs. Silverado HD’s MyLink systems are enhanced for 2016, offering greater connectivity choices. They include a new HD radio with a 7-inch-diagonal capacitive touchscreen with performance improvements such as a faster processer for better performance, and Apple CarPlay and Android Auto capability. The available 8-inch system features similar performance improvements and CarPlay capability. Android Auto capability is coming later in the model year. What hasn’t changed for the new model year are the core elements that support the Silverado HD’s capability with durability. Regular, double cab and crew cab models are offered across the lineup. 2500HD and 3500HD regular cab models are matched with an 8’ box, while 2500HD double cab and crew cab models are available with 6’6” or 8’ boxes. Silverado 3500HD double cab is offered exclusively with the 8’ box, while 3500HD crew cabs are available with the 6’6” and 8’ boxes. Dual-rear-wheel configurations are also available on 3500HD. Trim levels include Work Truck (WT), LT, LTZ and High Country. 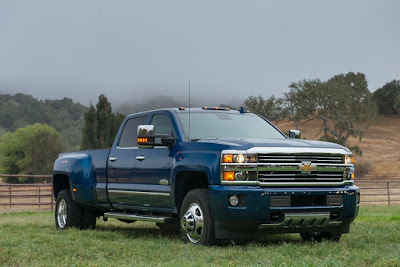 The LTZ trim is offered on double cab and crew cab models, while the High Country – Chevrolet’s premium heavy-duty pickup – is offered exclusively on the crew cab. Few things connect driver and vehicle like a smooth-shifting manual transmission. Although U.S. automakers have steadily moved away from manuals, many enthusiast cars still come with optional manuals. The heavy-duty market is still dominated by manuals, with many of these transmissions being automated. Most modern automobile manual transmissions use synchronizers – conical brass rings attached to each drive gear – to match the rotational speed of the drive and dog gears during shifts. Without synchronizers, these gears would clash as they try to mate. Transmissions without synchronizers require a shifting technique called double clutching to engage the gears smoothly. Whether you’re driving a sports car or an over-the-road truck, smooth shifts are important. The lubricant’s viscosity and friction properties play a vital role in shift quality. Viscosity that is too high could prevent shifting the gears until the transmission warms up or result in abnormally high temperatures during operation. 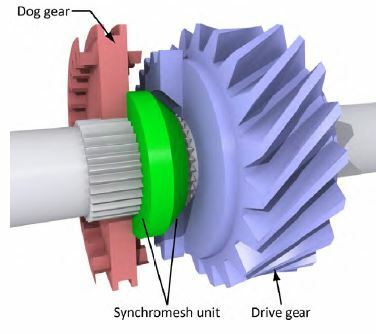 Viscosity that is too low could cause the synchronizer and dog gear to engage too quickly, resulting in grinding or hard shifts and abnormal transmission wear. The wrong frictional properties will result in poor shift quality and possibly accelerated synchronizer wear. Controlling wear isn’t as simple as it sounds. The relative motion between gears squeezes out the oil, meaning the microscopic film of lubricant left behind must be sufficiently resilient to withstand high pressures. Typically, the lubricant cannot contain high levels of anti-wear and extreme-pressure additives because they deteriorate synchromesh materials and disrupt gear engagement. Manual transmissions may call for motor oil; an automatic transmission fluid; a GL-4 or GL-5 fluid or a fluid formulated for synchromesh units. Motor oils are common manual transmission lubricants in older vehicles, but they generally do not offer adequate protection in modern transmissions. 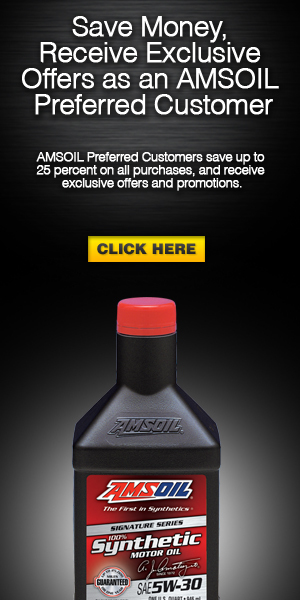 AMSOIL formulates a complete line of synthetic manual transmission fluids for passenger car/light truck and heavy-duty applications. 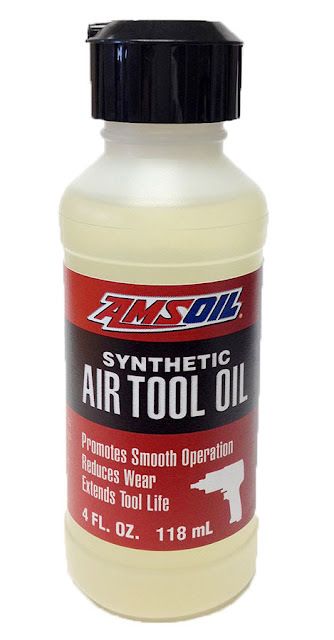 They are specifically formulated to deliver smooth shifts and long transmission life for their intended applications, helping you get the most out of your vehicle. The Florida manatee! What better way to view the largest natural concentration of these gentle giants than in their winter habitat at theCrystal River National Wildlife Refuge. The Refuge was established in 1983 specifically for the protection of the endangered West Indian Manatee and is home to the many manatee populations that winter here. This unique refuge preserves the last unspoiled and undeveloped habitat in Kings Bay, which forms the headwaters of the Crystal River. The best time to view manatees is late November through early March, when manatees congregate around warm water springs. Visitors can view the manatees in their natural setting from boats, in the water outside of the sanctuary boundaries, or from the comfort of your own home via this virtual tour created by the Friends of Crystal River. Except for the areas closed as winter manatee sanctuaries, Crystal River National Wildlife Refuge is open to the public during daylight hours and offers a gift shop and a picnic area overlooking the bay. Start at Crystal River National Wildlife Refuge headquarters at 1502 S.E. Kings Bay Drive in Crystal River, Florida. The headquarters can be accessed from U.S. 19, which runs through the Town of Crystal River. Check the refuge website for a map and driving directions. Brush up on your manatee facts! Did you know manatees are sensitive to cold water temperatures and, like humans, are susceptible to hypothermia in winter? Kings Bay encompasses more than 70 natural springs, which produce a constant flow of 72°F (22°C) water. Combined with areas of shallow water, the abundance of natural springs provides a winter haven for hundreds of manatees once the waters in the Gulf of Mexico drop below 68°F (20°C). Manatees often return to the same wintering areas year after year. Therefore, protecting warm-water wintering habitat, like that found in Kings Bay, is key to protecting and recovering this endangered species. Read more about manatees on the Florida Manatee–Issues and Information web page. Celebrate this special creature with a visit to the Florida Manatee Festival in downtown Crystal River, January 16-17, 2016. Enjoy activities and events for the entire family–fine arts, crafts, children's activities, boat tours, entertainment and more! Leave the shoreline behind when you join a Heritage Eco Boat Tour at Crystal River Preserve State Park. Step aboard the vesselMonroe as you explore the lower river on a tour wonderfully narrated by park rangers and docents. Arrive early, boat tours are available on a first-come, first-served basis and can sell out quickly–especially in the spring. In order to care for this endangered species and still allow visitors a special experience, the U.S. Fish and Wildlife Service encourages passive observation, which means not initiating contact with manatees and calmly observing from a distance and at the surface. Any contact should be initiated by the manatee, not the person. Check out these informative “Manatee Manners” videosfor more information. Want to swim with a manatee? Be sure and plan ahead! Make reservations with one of the many Crystal River dive shops or marinas (PDF) that offer manatee tours and cater to the needs of divers and snorkelers. Contact the refuge office for information on current manatee activity at (352) 563-2088. Learn more about marine mammals and the best locations to view them! We have pulled together 10 amazing experiences especially designed for outdoor adventure seekers! Add these to your bucket list or give the gift of adventure for the thrill seekers on your holiday list. There are still many places where bears roam, but only a few where an observer might reliably view a bold, beautiful bear. Witness some of the largest bears in the world congregating in popular fishing spots as salmon make their way to spawning grounds in Katmai National Park and Preserve, Alaska. Yellowstone National Park also hosts grizzly and black bears that visitors often see from a safe distance. Visit our Go List to find out where you can view bears in several U.S. locations. The BWCAW features more than 1,200 miles (1931 km) of canoe routes, 12 hiking trails and about 2,000 designated campsites. This wilderness offers freedom to those who wish to pursue an experience of expansive solitude, challenge and personal integration with nature. Visit ourBoundary Waters reservations page to plan your trip. Hike the Appalachian National Scenic Trail, Eastern U.S. The Appalachian National Scenic Trail is a 2,184-mile (3,514 km) long public footpath that traverses the scenic, wooded, pastoral, wild, and culturally resonant lands of the Appalachian Mountains. Approximately three to four million visitors hike a section of the Appalachian National Scenic Trail each year. The Appalachian Trail, the Continental Divide Trail and thePacific Crest National Scenic Trail form what is known as the Triple Crown of long-distance hiking in the United States. Slickrock Bike Trail is considered the ultimate mountain bike experience and is part of the National Trails System. While Moab offers trails for all abilities, it is especially well-known for challenging terrain for more advanced riders. Novice mountain bikers are also treated to gentle terrain and both types of riders will experience views and experiences that create memories to last a lifetime. National Forests are host to 122 ski areas throughout the U.S. In addition to the thrill of alpine skiing and snowboarding, many forests offer opportunities for cross-country skiing, snowshoeing, sleigh rides, dog sledding or snowmobiling! Visit our Downhill Thrills page for a complete list of ski areas in 14 states on federal lands. The pinnacles along the Colorado Rockies are the 54 peaks over 14,000 feet (4,267 m) in elevation. "Fourteeners,” as climbers affectionately refer to them, offer views and experiences like no other. Visit this list of all of these majestic peaks throughout the state and plan to ascend to these great heights. Also, check out ourColorado Peaks article for more great information and safety tips. Mount St. Helens is a popular climb for both beginning and experienced mountaineers. Although strenuous, this non-technical climb is suitable for people in good physical condition who are comfortable scrambling on steep, rugged terrain. Most climbers complete the round trip in 7-12 hours. Visit the Climbing Mount St. Helens page for everything you need to know. Also, read our spotlight article on Mount St. Helens National Volcanic Monument. A powerful and inspiring landscape, the Grand Canyon overwhelms the senses through its immense size. Unique combinations of geologic color and erosional forms decorate a canyon that is 277 river miles (446 km) long, up to 18 miles (29 km) wide, and a mile (1.6 km) deep. Hikes into the Grand Canyon range from short day hikes, to multi-day adventures. Prepare to be awed by this stunning geological phenomenon. Explore the largest area of protected wilderness in the lower 48 United States with 3.3 million acres (1.3 million hectares) of roadless land, and mountain ranges separated by rivers as big as the landscapes that surround them. Experience white water rafting on the Four Rivers in Oregon and Idaho of the Main Salmon, Middle Fork of the Salmon, the Snake and the Selway rivers. These rivers contain all the excitement of Class 5 whitewater and the calm needed for fly fishing Zen. natural landmarks in the U.S. Rising nearly 5,000 feet (1,524 m) above Yosemite Valley and 8,800 feet (2,682.2 m) above sea level, Half Dome is a Yosemite icon and a great challenge to many hikers. The most famous—or infamous—part of the hike is the ascent up the cables. The two metal cables allow hikers to climb the last 400 feet (121 m) to the summit without rock climbing equipment. This ascent is a thrill and rewards climbers with a view that makes the climb well worth the effort. Before planning your trip, make sure to gather as much information as possible about the lottery process for the Half Dome Permits. Be proactive about vehicle maintenance by practicing routine oil analysis. The inexpensive, easy-to-take sample could save you hundreds of dollars at a mechanic by finding mechanical issues before they cause problems. With Oil Analyzers, you can be confident each time you sit behind the wheel. Customers typically test their engine oil, but also can test their transmission fluid, gear oil and coolant. Oil analysis is essential for any cost-effective over-the-road trucking program. Extending oil drains can reduce time spent performing vehicle maintenance. Oil Analyzers makes it possible to determine effective and safe drain intervals. 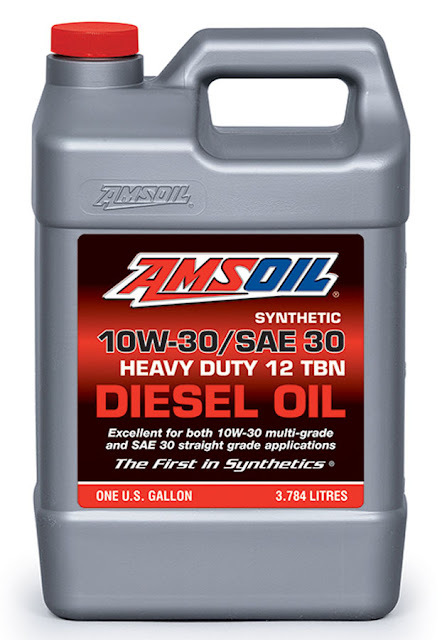 Operators typically test engine oils, transmission fluids, gear oils, coolants and diesel fuel. Agricultural applications can be hard on lubricants. Dirt, heat and organic matter can interfere with the lubricant's intended function. Our extensive experience analyzing a variety of lubricants in a variety of settings provides the information you need to keep your equipment maintained on your terms. Construction and heavy-duty machine applications work under tough conditions, placing added stress on lubricants. Our oil analysis program provides detailed records of equipment condition, helping reduce downtime. Operators typically test engine oils, transmission fluids, gear oils, hydraulic fluids, coolants and diesel fuel. The Oil Analyzers industrial program can save you resources by providing reliable and accurate maintenance data. Machinery that is properly maintained lasts longer with less downtime. In addition, practicing extended drain intervals can save significant money. Operators typically test engine oils, transmission fluids, gear oils, hydraulic fluids, coolants and diesel fuel. Marine lubricants are susceptible to water contamination, making it essential to follow the Oil Analyzers marine analysis program, which provides a comprehensive water-contamination test. Operators typically test engine oils, transmission fluids, gear oils, hydraulic fluids, coolants and diesel fuel.